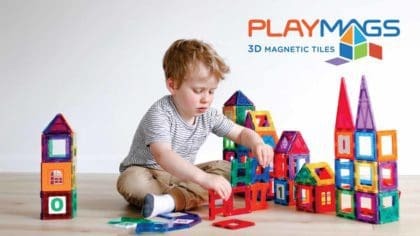 Check out Playmags, the 3D magnetic building blocks! If you love building things with your hands, you’re going to love this! Playmags is basically loads of 3D magnetic construction blocks, which attract on all sides. That means you can combine them to make different shapes and structures. 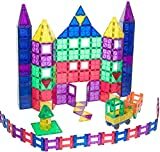 The magnetic blocks easily connect together meaning you can have hours of open-ended play creating cubes, pyramids and other shapes. The shaped blocks help with your creativity and maths skills as well as patterning and geometry! You can even go from 2D to 3D creations, like making these huge castles! Fun, colourful and engaging, Playmags make a great Christmas or birthday present for boys and girls!